Swimming, leisure, and games in our heated swimming pool. You will enjoy swimming, relaxing and playing games in our heated swimming pool. 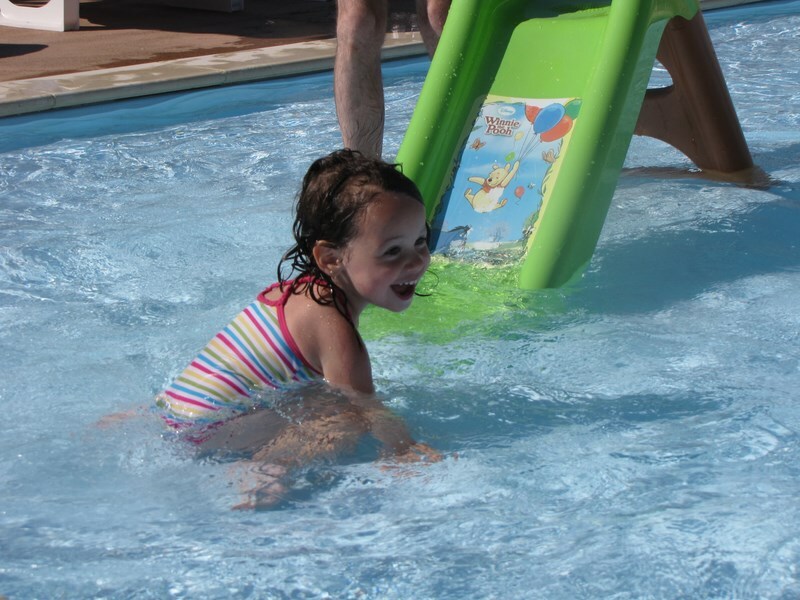 The children will have fun playing in the heated kiddies’ pool and on the slide. 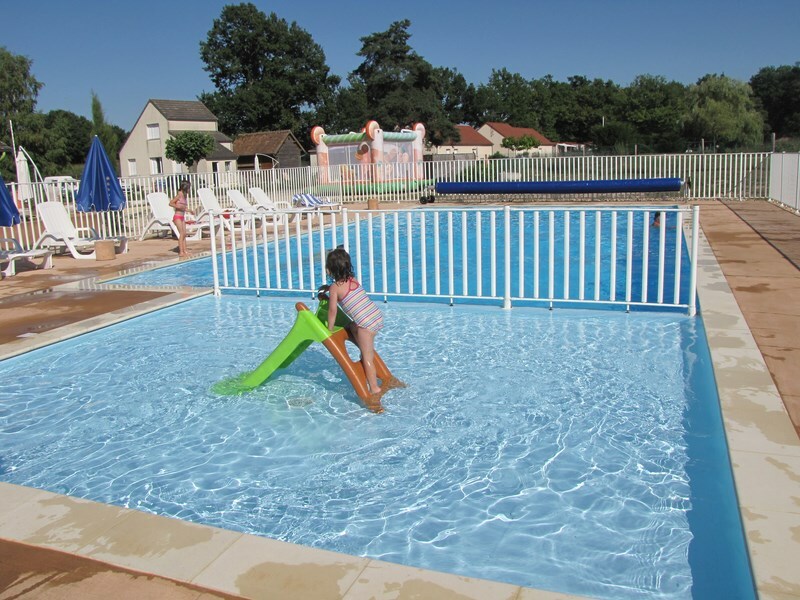 The pool is heated by solar panels; the temperature of the water varies from 25 à 28 °depending on the weather. The view on the pond is an invitation to relax. 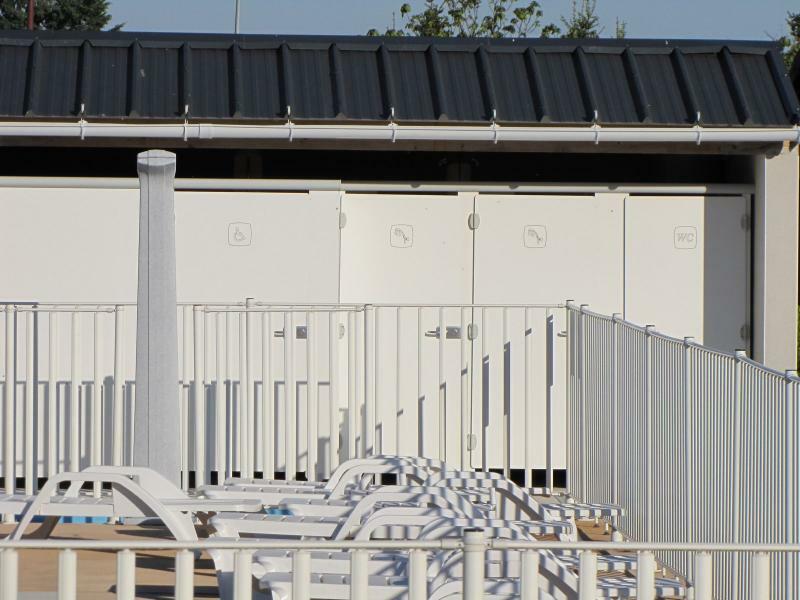 For your comfort a sanitary facility has been created at the entrance of the swimming pool, it has three showers and two WC. One access ramp and a WC and shower are meetings the standards for people with special needs. Practical side: The big swimming pool measures 12 meters by 7 meters for a constant depth of 1.40 meter. The kiddies’ pool measure 5 meters by 4 meters for a depth of 20 centimeters, a slide is installed for the pleasure of the little ones. The openings hours are from 10:00 am to 8:00 pm from 15 May to 15 September.